Can You Escape – Holidays is a unique puzzle and adventure game by MobiGrow. Get ready to escape all possible locations dedicated to different holidays, solve puzzles and open doors just to have even more fun. 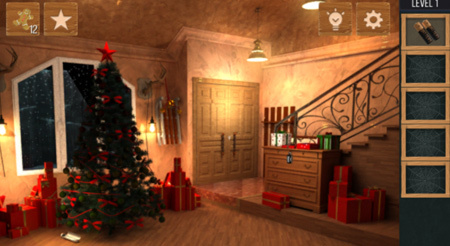 The game features 20 different holiday rooms filled with brain teasers, hints and secrets. Find hidden objects, break codes and use your logic skills to escape. If you get stuck in the game, check out the video walkthrough and gameplay for the game. This entry was posted in Android Games, iOS Games, Mobile Games, Walkthrough and tagged Can You Escape Holidays Answers, Can You Escape Holidays Cheats, Can You Escape Holidays Gameplay, Can You Escape Holidays Guide, Can You Escape Holidays Hints, Can You Escape Holidays Review, Can You Escape Holidays Solutions, Can You Escape Holidays Strategy, Can You Escape Holidays Tips, Can You Escape Holidays Walkthrough by Marvin. Bookmark the permalink.